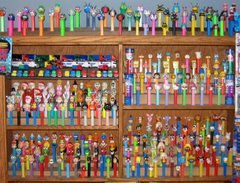 Above are the PEZ added to the collection in 2014. The year had a slow start but really took off the past couple of months. that is awesome. There are some really cool ones that were acquired this last year!!! !